We are so beyond honored that Congressman Tim Ryan took time out of his day to speak with us. This is the 11th interview with OMazing pioneers in the Mindfulness Education space for our “Partners for Peace” series. We invite you to read, learn, talk to your kids, try the techniques, & ask us any questions. Congressman Tim Ryan speaks about meditation and mindfulness in schools. Here are some of the questions that I asked (some not in this order). You can hear the Congressman’s answers at the link above. Please tell us a little about yourself, what drew you to meditation and mindful education, and your vision for the future of the next generation. There are many ways to serve. What drew you to politics? Some of the kids that are listening to this may not know what mindfulness is, so how would you describe it for them? Why do you think it is so important to teach kids these techniques when they are young? Do you think it is even more relevant right now with everything that’s been going on in the world? We have studies and the science show the health benefits of Yoga, Meditation, and Mindfulness, so why do you think it is taking so long to get the support of the adults in this country who have the power to put these programs in schools? In your book, “A Mindful Nation” you talk about how reducing stress can help find solutions to the problems facing our nation. I agree, but everyone is so busy these days, and they don’t think they have the time to reduce stress because everything else is more important. How can we make people understand how important this is and care about it and want to do it? Even kids don’t have time, unless it’s in school. They are stuck doing homework until midnight or are on their phones or playing video games. My mom says that people don’t even talk to each other anymore. They have forgotten how. Do you think mindfulness, SEL learning, and Kindness should be mandatory in schools, like math and science? Sometimes it gets frustrating when I hear school say that they won’t implement these courses because it’s a religion. We know it is not a religion. What do you say when you hear about a school that says they don’t want Yoga, meditation, or mindfulness curriculums because it is “religion”? In the most recent Mind and Life conference, which focused on Early Learning, the Dalai Lama said that we, in the mindful education space, need to all come together and “scale up” if we are going to effectuate real change and stop the violence. I live close to Parkland, so this is really important. How do you suggest we get people from both sides of the isle to start working together to find creative solutions to the challenges facing our nation? You formed Quiet Time Sessions for members of Congress to meditate before votes. Why did you do that, and do you think it has helped? If you had to pick one mental exercise for kids to do in elementary school, middle school, and high school, to help positively shape their future behavior and health, what would it be? The statistics of suicide and violence in young kids have risen dramatically in the last few years. Kids in middle school should not be killing themselves. Teachers should not have to carry guns. And parents should not be afraid to send their kids to school. What advice do you have for kids, teachers, administrators, healthcare practitioners, and parents? 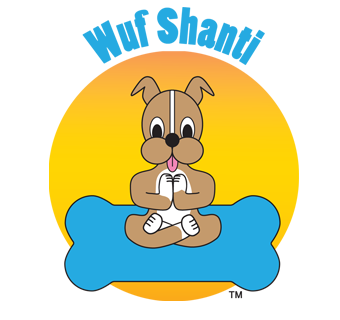 Wuf Shanti is a character that teaches health & wellness, peace & positivity through mindfulness, yoga, and meditation to kids. 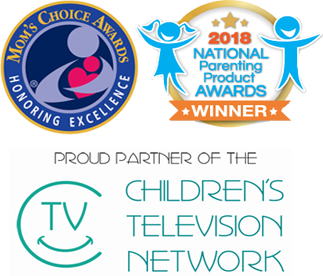 We have 7 books, a free mindful mobile app, and our videos are on the Children’s TV Network which is the station inside many children’s hospitals across the nation, and local PBS stations. Our mascot visits schools and hospitals to share techniques with kids about how to cope with emotions. I would like to form a mindful kids education coalition to bring people together to help “scale up” because like the Dalai Lama said, I think if we work together, we have a better chance of making a positive difference in the world. What advice do you have for me to help me expand this movement? Congressman, if you are reading this, THANK YOU, Thank You, Thank You for knowing how important these early education programs are, for all your work towards making this world a better place for kids, and for being so nice to speak with me and offer to help me. I may take you up on it one day. The future of the next generation may depend on it.